VoC: Who will represent Moldovans? On the 7th of April, 2009, around 30,000 Moldovans watched as their parliament and the presidential building burned in what the international media would later call the first “Twitter revolution” when foreign journalists were not allowed to enter Moldova and protesters went to Twitter to inform the world about what was going on. Most of them were young people who were there to protest against what they saw as fraudulent elections won by the Communists Party. This generation would go on to enlist in pro-European parties, volunteer for various social causes and ask for repeat elections. 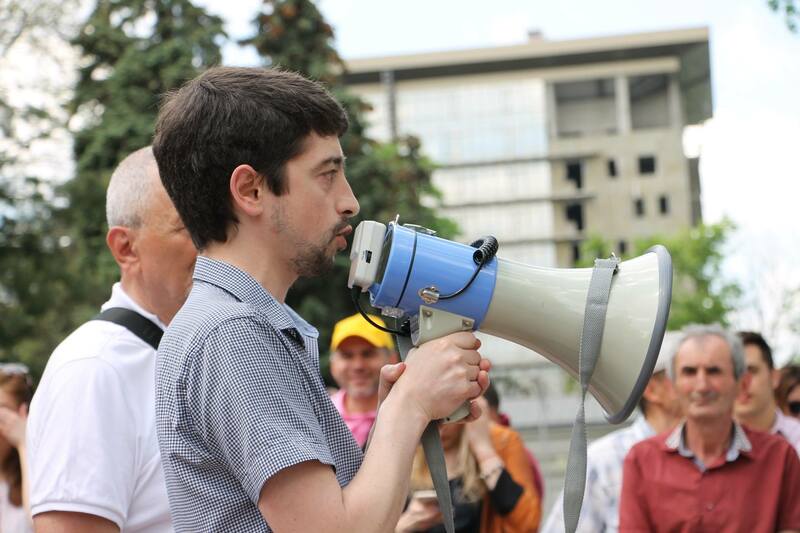 Among them was Valeriu Pașa, a now 31-years old archaeologist and activist, currently an expert with the WatchDog think-tank. He is involved in a movement that wants to have a referendum regarding the repeal of a recent change in the voting system of Moldova. 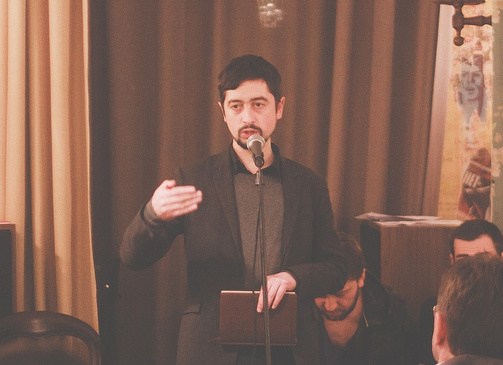 We meet Valeriu in a popular hang-out in central Chișinău, where activists, journalists and young politicians come to mingle. Before, during and after our interview, he greets fellow activists who pass our table. It doesn’t take long, however, for him to get back to the point: The government has to go. Our government is not legitimate, doesn’t have the support of its citizens, they are corrupt and incompetent. However, they don’t want to leave and that’s why they changed the voting system. The Republic of Moldova, a small Eastern-European country landlocked between Romania and Ukraine, gained independence from the Soviet Union in 1991. This independence was, however, in name only. 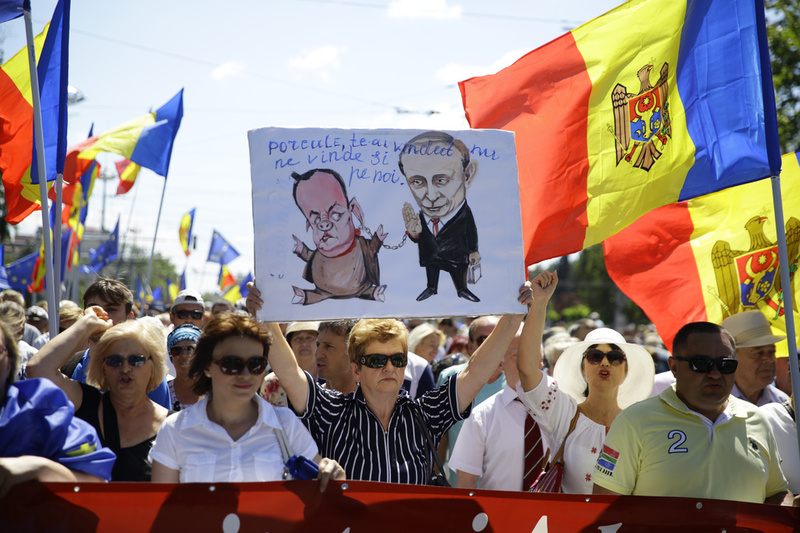 Fearing a possible reunification with Romania, pro-Soviet separatists in Eastern Moldova started an armed conflict against Moldovan authorities and set up an unrecognized puppet state controlled by Russian interests named Transnistria. The Communist Party eventually took over the Moldovan political scene in 2001, bringing even closer ties to Russia. In 2009, after eight years of communist rule, civil unrest forced the communists out of power. People demanded democratic reforms and closer ties to the EU. Four pro-Western parties emerged to answer the call: the Liberal Democratic Party, the Liberal Party, the Democratic Party, and the Our Moldova Alliance, creating a governing coalition named the Alliance for European Integration. Since the beginning, the coalition was plagued by internal power struggles, most notably between the leader of the Liberal Democrats, Vlad Filat, and leader of the Democrats, Vlad Plahotniuc. Today, Filat is in jail, the Liberal Party was pushed out of government and the Our Moldova Alliance doesn’t exist anymore. This leaves Plahotniuc’s Democratic Party, which won 19 out of the 101 seats after the 2014 elections, as the only party in charge. Even with the support of less than 10% of the population, the Democrats have recruited MPs from other parties and hold 42 of the seats in Parliament. Together with their satellite MPs, they single-handedly control the country. However, public support for the Democrats continues to fall, raisingconcerns about the future of the party after the next parliamentary elections in November 2018. In March 2017, the new president of the Democratic Party and de-facto leader of the country, oligarch Vlad Plahotniuc, announced that he will push for the adoption of the uninominal voting system instead of the proportional voting system already in place, an idea he has been advocating for since 2012. This means that voters would no longer choose a party to represent them in Parliament, but would vote for a representative from their local district that would go on to become an MP. The move was seen as an attempt of the Democratic Party to retain power. Whereas polls show Plahotniuc to be the least trusted person in Moldova, his party has built a good network of local organizations across the country. He could leverage that network and his vast fortune to push local party leaders to the top of the ballot results. The idea was strongly opposed by opposition parties, both pro-European and pro-Russian. Chief amongst them was the largest opposition group, the Socialist Party, an offshoot of the Communist Party. However, after just two months, the socialists introduced their own bill in Parliament, which would have half of the MPs selected via the uninominal voting and the other half the old way. The Socialists’ and the Democrats’ bills were quickly merged and immediately voted into law by both parties. They made a system in which, if you control administrative, financial and media resources, you can effectively manipulate the voting process. They can introduce spoiler candidates, corrupt the voters, to use the courts they control to exclude any candidate from the election process. The bill didn’t receive the support of the European community either. The Venice Commission, an advisory body of the Council of Europe, published a report on the issue, concluding that “such a fundamental change, while a sovereign prerogative of the country, is not advisable at this time”. That didn’t stop Plahotniuc’s plans. His Democratic Party argued that the report is advisory only, and the final decision is up to the government of Moldova. Several protests led by opposition leaders were organized before and after the change of the voting system. According to local media, over 5,000 people protested in front of the Parliament building at the height of the manifestations. However, after years of public demonstrations, protest fatigue has already set in. Few Moldovans thought they could change anything. So referendum it had to be. The first community of activists started forming on Facebook, under the #NuMixt hashtag. People were encouraged to register for a meeting in order to discuss the possibility of organizing the referendum. This led to the formation of the “initiative group for the organization of a referendum regarding the mixed vote” in December 2017. The attendees were NGO leaders, civic activists, political analysts and interested citizens. About 700 people attended the first meeting, where they chose Valeriu for the position of Secretary-General of the movement. The goal of the group was to collect the 200,000 signatures necessary for the referendum. However, the Central Electoral Commission had other plans. They refused to register the initiative to organize the referendum, under the pretext that it is too close to the parliamentary elections expected to be held in November 2018. Valeriu didn’t give up. On February 11th, another 800 people formed a new initiative from the ashes of the old one, with the same stated goals and the same structure. “There are more of us than the first time. I walk on the street and people, who I’ve never met, stop and thank us. This is what gives us hope that we can change something”, says Valeriu from the stage, right before officially announcing the formation of the new group. The new voting law doesn’t only affect the way Moldovans will choose their representatives in Parliament. On February 26, the Council of the European Union published a report in which it highlights its regrets that “the new electoral law did not address some of the key recommendations” of the Venice Commission and the Organization for Security and Cooperation in Europe. The report notes that there is a “risk that majoritarian candidates may be influenced by business people or other actors who follow their own separate interests” and suggests that authorities “involve civil society in the decision making process”. The report is expected to be the basis of an EU decision whether to provide 100 million euro in macroeconomic help to Moldova. For people like Valeriu, it’s not even about the voting system or the lost financial aid. The bigger issue is that one person can disregard the opinions of the majority of the citizens and change laws at their own discretion. “We’re trying to make things normal. Of course, we don’t like that we’re one of the poorest countries in Europe and, by far, the most corrupt”.